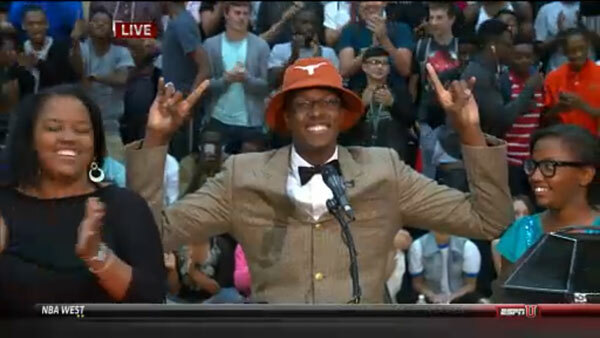 ESPN’s number 2 player in the country Myles Turner has just committed to Texas on ESPNU. 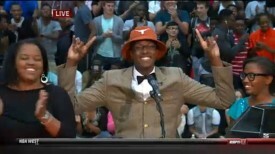 He chose the Longhorns over Kansas and Duke among others. Huge commit for coach Rick Barnes who already had a good core team coming back for the 2014-15 season. Turner is a legit 7 footer who can play inside and outside. Barnes should be able to put Turner, Cam Ridley, and Johnathan Holmes on the court at the same time. A lot of comparisons to former Horn LaMarcus Aldridge.